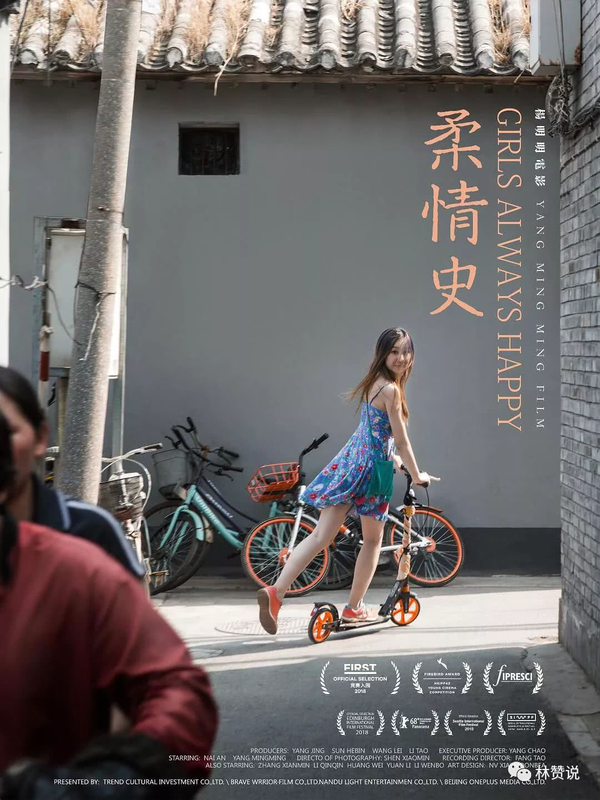 PennsylvAsia: 2018 Chinese film Girls Always Happy (柔情史) at Carnegie Mellon, March 31. 2018 Chinese film Girls Always Happy (柔情史) at Carnegie Mellon, March 31. The 2018 Chinese film Girls Always Happy (柔情史) will play at Carnegie Mellon University on March 31, one of two Chinese movies playing at this year's CMU International Film Festival. Wu is in her mid-twenties and lives with her mother in a traditional one-story house in one of Beijing’s hutongs. Both consider themselves to be writers, but success has so far eluded them. Their unhealthily close relationship is characterised by reproaches and quibbling; only during meals do they appear to lay down their verbal weapons. The situation escalates when both Wu and her mother hit an emotional low. Often compared to the fellow mother-daughter film, LADYBIRD, GIRLS ALWAYS HAPPY is both a funny and dramatic depiction of a complicated parent-child relationship, elevated by the charming performances of the two leads: An Nai and director Yang Mingming herself. The movie starts at 4:00 pm in McConomy Auditorium and tickets are available online.